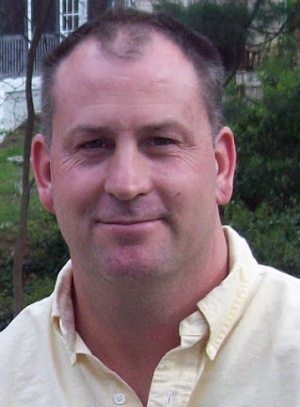 James Jon Sebest, 51, of Lancaster, passed away peacefully on January 17th, surrounded by his family. He was the loving husband of Andrea (Stine) Sebest and father to Addison and Olivia Sebest. Born in McKeesport, PA to Albert and Jane (Parke) Sebest, Jim attended Manheim Township High School, class of 1985 and University of Delaware where he was a member of Pi Kappa Alpha. He owned and operated Sebest Construction from 1994 until his injury in 2010. He is survived by his wife and children; sister, Jill (Sebest) Welch, her husband Doug Welch and their two sons, Jake and Luke; brother, Jeremy Sebest, his wife Caya (Consunji) Sebest and their two children, Gianna and Justin; father-in-law and mother-inlaw, Ken and Phyllis (Markey) Stine; brother-in-law, Keith Stine, his wife, Courtney (Knox) Stine and their two sons, Joshua and Elias. Jim is also survived by the many amazing friends and family who have walked this long journey with us. We are forever grateful for your company. Relatives and friends are respectfully invited to attend a celebration of Jim’s life to be held in the Sanctuary of the Lancaster Church of the Brethren at 1601 Sunset Avenue on Saturday, January 26th at 2pm. Friends may greet the family from 1pm until the time of the service. Please join us after the service for food and remembrance. Contributions may be made in Jim’s memory to A Step Toward Hope through their website at www.asteptowardhope.org or checks can be mailed to 100 Mt. Holly Bypass, Lumberton, NJ 08048. I’m so sorry, My heart is broken. I will miss you forever. My greatest hope is that you aren’t sidelined anymore. Play on, Jimmy! Sending deepest condolences, love, and prayers to his entire family and friends. I am grateful I was able to see him in 2010 at our high school reunion and spend some quality time and laughs, he will be remembered like that with joy and smiling. May he rest in peace and continue to watch over his loved ones. To Andi, the family and friends of Jim. I want you to know what an honor it was to hold two successful Spaghetti Dinner Fundraisers to support Jim and you early on after his accident. You are role models for dealing with serious illness without giving up hope. Thinking of you at this time. So very sorry to here of Jim’s passing. My deepest condolences to his family and friends. I am so very sorry. Sending lots of light , love , hugs and prayers to you all. So sorry to hear of you loss, I went to HS with Jim. May God be with you! My condolences to Jill and the Sebest family. Very sad to hear of Jimmy’s passing. Although I moved across the county to California, I have always felt a close connection with Jim – the emptiness I feel today will always be filled by the wonderful memories we shared together over the years. I still remember basement pool tournaments with Al and the hijinks that drove Jane crazy like playing horseshoes at midnight out back. I wish I were closer to have been able to offer more support over the last 8 years since the accident but I know that Jim now is at peace. Thinking of Jill and Andi and hoping you find peace as well in these difficult times. Andrea, Addison & Olivia, we are so deeply sorry for the loss of your husband and father. Please know that our thoughts and prayers are with you at this time. Always remember he will always be there in your hearts. I go to LCOB and helped with the spaghetti dinners that we had for Jim. All of you have also been in my prayers in the many times that Jim was mentioned on the church prayer line and at Wed. A.M. Prayer Breakfast! Our son Steve Bohn also remembers Jim as a classmate at MT. Steve lives in CO now but I have kept him informed. EVEN THOUGH YOU would not have freely chosen this very long road of tragedy and suffering, I am amazed at your spirit of courage and determination to handle what life has given to you! May you continue to find the grace and strength you need for each day. So sorry to hear about Jim, my heart goes out to you and your family. Stay strong and be well, and know we are thinking of you. Andi – sending our deepest love to you, your kids and entire family. Scott and I are so sorry for your loss – I don’t even know what to say. Our time together happened long ago – but it was exciting , and genuine, and so much fun! We crossed paths for a reason, at such an ideal stage of our lives – and Scott and I are forever grateful. We’ve had so much fun remembering the good times with you both in Boulder; with Jim on the golf course – and of course, our many Friendsgivings (I think we all started that ). Jim was such a love – such an amazing guy and sweetheart to the core. It’s so not fair the turn his life took; it just makes no sense. I do know that with you and your kids by his side, I know he felt safe, and loved. And we love you with all our hearts – and would love to see you in CO this summer. Thinking of the Sebest family. I remember lots of fun times growing up with the 3 of you and your dear parents. Your parents were such wonderful caring warm people and so are all of you. I enjoy seeing you Jill and also you and your family Jeremy on FB- so happy for you. Sending our deepest and sincerest sympathy to you on Jim,’s passing. We had known Al, Janie since the early 1980s and got to also know Jim, Jeremy and Jill. We have many fond memories of the family. Our hearts are aching also and we send our love and prayers to each of you. Thank you Jim for being a blessing to so many people and may you Rest In Peace. Our heart full prayers to a very special family. Dear Jill and Sebest Family – thinking of you all during this time of loss and hoping that you will be comforted by warm memories of Jim. We’re sorry for your loss of a wonderful son, brother, husband, father and friend.